DiffImg is a simple image comparison tool which take two images with the same size as input. Some statitics are computed and the positions where pixel differ are displayed as a color mask. There are very few image difference tools for Ubuntu Linux. DiffImg is one of them which has a user friendly GUI. It uses OpenCV as backend so it can read and compare 8/16/24/32 bits images without problem but only single channel and RGB image has been take into account, so alpha channel isn’t supported. 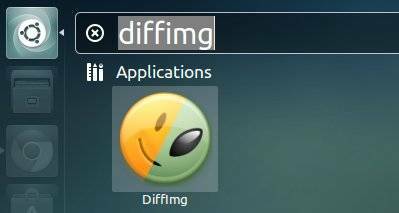 Because DiffImg is written with Qt, it runs on Windows and Linux (MacOSX isn’t tested yet) and OS/2. It can read basic formats as BMP, PNG, JPG but also Tiff and OpenExR. Image difference display : a yellow/red mask can overlay the original/modified images. Statistic computation: Mean error, RMS error and min/max are computed. Several metrics can be used for computing image difference. “Slideshow” : DiffImg can compare directory of image, so you can switch to the previous/next comparison if you have two folders with the same image list. 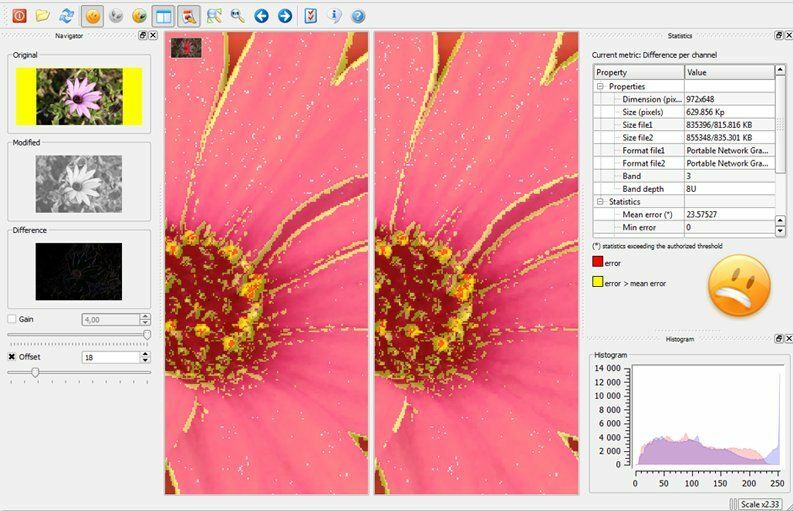 Supported files :DifffImg uses Qt plugins to load images, so by default it can read basic formats as BMP, PNG, JPG and OpenCV supported formats (Tiff, OpenExR). A PPA repository has been created to make it easy to install for Ubuntu and Linux Mint users. So far, it supports Ubuntu 13.04 Raring, 12.10 Quantal, 12.04 Precise and Linux Mint 13 Maya, 14 Nadia, 15 Olivia. For other systems, Diffimg source code and exe file can be download from SourceForge. Hi I was using DiffImg and now I want to use it in a Bash program but I dont need all the result I just need the errorPercent and store it in a variable on my Bash program.